I read that he was arrested or being held at either Tacoma or Gig Harbor. Those are only an about an hour from McCleary! Gig Harbor's police department is not much larger than McCleary's. My first husband lives there. Beautiful spot. is there a david or davin allen?? I am sure there is somewhere, but what are you asking? i don't know? the name just sounded like i've heard it before?? just sounded like a better name?? Jason Allen Foutch, but not in connection with Lindsey. unless someone got some major plastic surgery this is not the same guy. It wasn't supposed to be the same guy. We are asking if they possilby look alike, or could be mistaken for each other. particularly from a distance. from a distance, in the dark, you betcha! thanks..is he a SO? I am very confused! 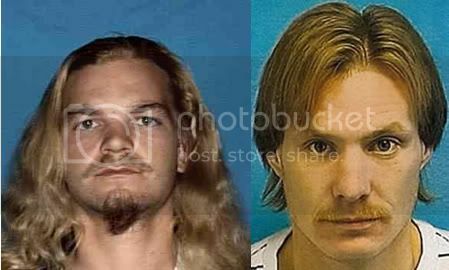 In my opinion, if I had never seen either of these guys before, and then saw one or the other under the circumstances described by DD and that other poster, and was then shown these pictures, I could easily mistake one for the other. This makes no sense. Why post the same picutres with no connection? just a name you heard from where? Look at page 82 - that is where this started. 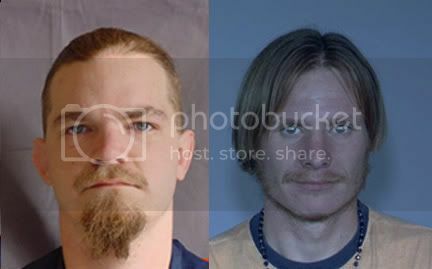 He is a SO and was wanted for kidnapping in MI. He was arrested after Lindsey went missing in a town it appears is about an hour from there. The question is could he be mistaken for Adam. If hair cut, etc. 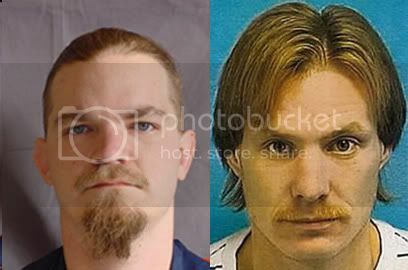 mamacrazy - nobody is suggesting it is the same guy, they are asking if there is a resemblance, if one could be confused as the other. well, from my scope no...jmho..lets look at the similarities they both have a mustache , they both have thin lips and they both have an arch in their left eyebrow...but jmo that is compering pictures side by side....if you were (JMO) to look at either one quickly well?? ?..i guess in the dark i could think its the same person, on the other hand it could be anyone. i don't recall posting the pictures...i asked a question. Mama, Rather than posting a reply, you quoted a quote that had the pictures on it. ok, so sometimes i'm slow on the uptake...of course anyone could mistake one for the other because in a traumatic situation you aren't thinking clearly anyway....i'm sure anyone could mistake one for the other in the dark. 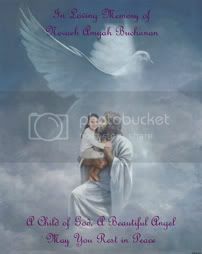 in a trauma situation its fight of flight....your concern is not in the details. or does adam look more like this one NOW? Page created in 1.392 seconds with 20 queries.